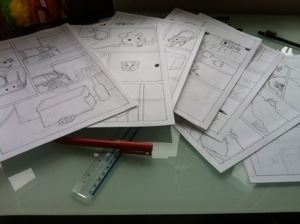 I have been redrawing the first comics and more from the story of Pixel and Figment for a comic book competition. This entry was posted in author diary. Bookmark the permalink. Thank you so much! The comic is now submitted, fingers and paws crossed!